Dr. Andrea Maxim graduated from McMaster University, completing an Honours Degree in Biology and Pharmacology. After another four years of rigorous training at the Canadian College of Naturopathic Medicine, Andrea completed her degree as a licensed Naturopath in Ontario and is proud to be serving the Haldimand and Burlington communities. Dr. Maxim has created The Maxim Movement ? a movement helping people move towards MAXIMizing their Digestion, MAXIMizing their Hormones, MAXIMizing their Weight Loss and of course MAXIMizing Their Health. Following the foundational needs of the body, Dr. Maxim offers a step-wise program of removing triggers (food sensitivities, heavy metals, stress, environmental toxins), detoxifying the body and then flooding the body with nutrients to get it functioning and healing properly. As an adjunct, treatment plans include acupuncture, homeopathy and mental/emotional counseling to further bring balance to the body. Jennifer Lilly is a licensed Naturopathic Doctor, a graduate of the Canadian College of Naturopathic Medicine (CCNM) in Toronto, Ontario. She is a member of the Canadian and Nova Scotian Association of Naturopathic Doctors. Dr Lilly offers clinical nutrition counseling, botanical medicine, homeopathic medicine, Asian medicine, acupuncture (including facial rejuvenation), live blood cell analysis, energy testing and intramuscular treatments. 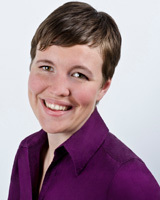 Dr. Cathleen MacDonald ND is a licensed Naturopathic Doctor with over 12 years of practice experience. Cathleen has recently moved to Halifax from Rothesay, NB and is accepting new clients. She has a family practice with a special interest in women’s health. Cathleen is a member of The Nova Scotia Association of Naturopathic Doctors (NSAND) and The Canadian Association of Naturopathic Doctors (CAND). Services available include: nutritional counselling, herbal medicine, acupuncture and traditional Chinese medicine, homeopathy, naturopathic body work, craniosacral therapy, lifestyle counselling and individualized cleansing and detoxification programs. Dr. Battilocchi is a graduate of Bastyr University in Washington state and has been practicing naturopathic medicine for over 20 years. She has seen thousands of patients of all ages. Her specialties are allergies, women\’s and children\’s health, homeopathy, acupuncture, clinical nutrition, and muscular-skeletal problems. You can expect a comprehensive visit, with a caring attitude. Some of the conditions treated, but not limited to are: allergies, skin conditions, digestive, cardiovascular, menopause and fertility issues, anxiety, ADD, insomnia, Lyme and tick diseases, heavy metal toxicity, environmental detox, flu, cold, ear aches, arthritis, candida, head-ache, and more. Physical exams done, and all labs done. We take Cigna, Aetna, Blue Cross, Oxford Freedom Plan, Connecticare, Husky Plans for children (Medicaid), Optimum Health. United Healthcare is at a 20% discount. Dr Susan Janssens provides a safe, effective, integrative and natural approach to modern medicine.You will have time to explore your health concerns, to ask questions, and work towards understanding the root cause of your symptoms. Her integrative philosophy provides you with the opportunity to promote your health by accessing your own natural healing abilities through;Identification of health blockages such as nutritional deficiencies, food allergies, hormone and neurotransmitter imbalances, environmental toxicity and heavy metal build-up, infection, and chronic inflammation.Replenishment and rejuvenation of your body with proper vitamins, minerals, oxygen and nutrition. Repair any damage that has occurred through improper lifestyle, stress, and trauma.Removal or correction of blockages or imbalances at ALL LEVELS which are preventing you from healing. Promotion of education and knowledge for self-healing. At InspireHealth Niagara Dr. Kenneth Groves is the Chief Medical Officer that oversees all clinical and diagnostic operations as well as patient treatment plans. As a licensed and board certified Naturopathic Doctor, Kenneth offers a high level of integrative Naturopathic Medical Care that has an emphasis on isolating the root cause of disease. He facilitates his patients along their healing journey, while simultaneously educating and inspiring them to actively manage their own health. Nicole Meier is the founder of Cornerstone Health Centre in Georgetown Ontario. Cornerstone is a fully integrative centre that acknowledges the role of structure, function and emotional well being in the healing process. Dr. Meier is an experienced, compassionate and practical naturopath that works with a wide range of health concerns. Dr. Q is a graduate of Southwest College of Naturopathic Medicine where she focused her studies on comprehensive family practice and pediatrics. Dr. Q holds a BAin Psychology from Southeastern Louisiana University. She has experience working in pediatric home health care and in a residential treatment facility for children. As a massage therapist for over 6 years, Dr. Q discovered healing people with hands-on therapy and empowering those people with knowledge to keep themselves healthy was exactly what she wanted to do. After extensive research, Dr. Q discovered naturopathic medicine. Dr. Q’s treatments emphasize the body’s natural ability to heal itself and include acupuncture, nutritional medicine, hydrotherapy, botanical medicine, homeopathy, and other modalities. She has a special interest in pediatric medicine including acute care. Dr. Q currently works as a physician at Sunshine Health Care Center and spends her home time as a wife and mother. Katrina has a general family practice and is also licensed to provide IV therapy. Special interests include working with seniors, student health, mental health, pain management and chronic illness. She is passionate about simple, accessible healthcare solutions that deepen our connection to the natural world. Dr. Truglia began practicing Naturopathic Medicine at Absolute Rehabilitation and Wellness, a multidisciplinary clinic in Stoney Creek, Ontario. In 2013, she embarked upon a new journey which involved beginning her own clinic, Stoney Creek Natural Wellness Center. She currently has an eclectic practice treating a broad range of health conditions with an emphasis on diabetes, mental health, autoimmune disorders, cardiovascular health, infertility and woman\’s health and gastrointestinal conditions. Dr. Travis Thurston is a Naturopathic Physician serving the greater Honolulu area with clinics in Downtown Honolulu and Kailua Town, Oahu, Hawaii. Areas of specialty include primary care and family medicine, including endocrine imbalances, neurological health, weight management, integrative pain management, complementary cancer care and a variety of other services. Dr. Travis is the CEO and Founder of Island Natural Medicine, LLC, a naturopathic clinic specializing in natural hormone replacement, age-management, pain management and weight loss. DID YOU KNOW that you can reverse hypertension, diabetes and high cholesterol? Did you also know that it is possible to treat hypothyrodism, heartburn, arthritis, migraine and many other conditions using herbs, nutrition and natural supplements? If you believe that the cells in your body have the potential to regenerate in a healthy way given the right nutrition and environment, then you are ready to see a naturopath! I have graduated from the Canadian College of Naturopathic Medicine in Toronto, ON. Prior to that, I have completed a minor degree in Kinesiology as well as a bachelor degree in Molecular Biology. I also have a certificate in Facial Rejuvenation Acupuncture. I believe that optimal health can be achieved by eliminating the root cause and detoxifying the body from harmful substances accumulated through years of stress. I have seen many patients recover fully from their conditions using the power of healing of Nature. Visit my website for further info. Dr. Martin is a Diplomat in Anti-Aging Medicine from American Academy of Anti-Aging Medicine (A4M) and is board-certified in Chelation Therapy. A visionary and leader in complementary therapies, Dr. Brian Martin specializes in chronic conditions such as cardiovascular disease, and diabetes.? He is also expert in treating some difficult common problems such as obesity, infertility, and chronic fatigue.? He is also a specialist in menopause, hormonal dysfunction and the safe use of bio-identical hormones and other optimal aging modalities. Dr. Martin believes that each person has the power to get healthy and stay healthy if given the tools.? Anti-Aging or Healthy Aging is a major theme of his practice and his goal is to educate and empower.? 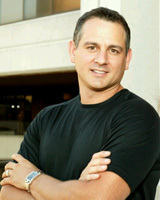 Dr. Martin accomplishes this through positive day-to-day living, effective coaching and health and happiness seminars. Dr. Martin and EnerChanges Clinic is also recommended by Suzanne Somers in her new book Breakthrough. Dr. Bulaong graduated with an Honours Bachelor of Science degree in Human Biology from the University of Toronto. She went on to earn a Post-Graduate Certificate in Workplace Wellness & Health Promotion, when she was introduced to the concept of wellness. She resonated with the idea that true health comes not just from physical, but also mental, emotional and spiritual well-being. With this realization, she pursued a career in naturopathic medicine at the Canadian College of Naturopathic Medicine, where she received the Award for Clinical Excellence in Asian Medicine and Acupuncture. She has taken additional training to be certified in Facial Rejuvenation Acupuncture and is an active member of the Canadian Association of Naturopathic Doctors. Dr. Bulaong will create a unique and innovative treatment plan that will support your unique health needs and lifestyle. With the ability to identify and address the causes underlying your current state of health. Lina Mockus, ND, is a graduate of the Canadian College of Naturopathic Medicine. She enjoys treating a wide variety of patients. Her special interests are in healthy aging, mental health, pain management, cardiovascular and gastrointestinal concerns, and weight loss. She believes in combining traditional healing methods with modern scientific methods to safely and effectively balance physical and mental wellbeing and improve quality of life. Each person is unique, so Lina uses an individualized approach with each patient. Her treatment modalities include botanical medicine, traditional Chinese medicine and acupuncture, nutrition, orthomolecular medicine, and lifestyle counseling. She believes in educating patients about their health so that they become active participants in their own healing processes. Lina is a member of both the Canadian Association of Naturopathic Doctors and the Ontario Association of Naturopathic Doctors. With a clinical focus on anti-aging and family health, Jennifer employs naturopathic medical therapies to optimize patient outcomes. She has lectured internationally, written for a medical textbook and founded a free clinic in Vancouver while participating in alternative medical research nationally. As teaching is her passion, Jennifer has acted as an Assistant Professor and Clinic Faculty at the Canadian College of Naturopathic Medicine and was the head supervisor at the Anishnawbe Native Health clinic in Toronto. Currently Jennifer enjoys two active family practices, one at the University of Guelph and the other in Downtown Guelph. Dr. Lynette Panych has a general family practice focusing on stress management, pain management, women\’s health and children\’s health. Dr. Brian Davies practices primary and preventative family medicine with special interests in hormonal, immune and gastrointestinal conditions. His focus is primarily on lifestyle modifications, with the addition of nutriceutical, botanical, homeopathic and pharmaceutical interventions as needed. Dr Davies also practices chelation therapy, microcurrent, cryotherapy, alternative cancer therapies and allergy elimination. 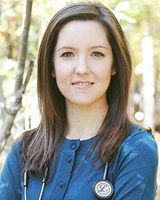 Melissa is a dedicated Naturopathic Doctor who is passionate about health. She focuses on understanding people, illness patterns and disease, allowing her and her patients to identify areas of the body that need support. By actively listening and individualizing treatments, she helps people understand their health and addresses the root cause of a condition. As a regular speaker, Melissa loves engaging the community about various health topics. From topics of detoxification, environmental medicine, food, women’s health, etc., she is keen to share her knowledge and the latest scientific research. Melissa welcomes all patients to her family practice, but has special interest in Women’s Health, Fertility, Sports Medicine, Pain Management, and Digestive Health. Melissa is also a member of the Board of Directors of Drugless Therapies – Naturopathic, the Canadian Association of Naturopathic Doctors and Naturopathic Doctors Ontario. CranioSacral Therapy offered for infants, new mothers and adults to help with fussiness, latch, sleep and getting to the root cause. Community acupuncture and the community clinic makes naturopathic care accessible for more people. I believe in working with my patients and their lifestyles to find solutions that work for them. This includes working with other health care providers to build a solid health care team for my patients. My goal is to safely and effectively get you back to doing the things you love to do! I am on a mission to simplify the complexities of your health into manageable steps that produce effective, lasting results. In that way, I am not only your naturopathic doctor I am your medical advocate, wellness coach, and health teacher. I enjoy working with a wide array of patients with various health concerns (thats the beauty of naturopathic medicine) but I have a particular interest in teaming up with men and women suffering from various digestive-related complaints. This may include IBS, IBD, food sensitivities, nausea, bloating, gas, and/or diarrhea and constipation, to name a few. I invite you to schedule a complimentary 15-minute consultation prior to booking your first visit. This can help you understand what to expect from your visits and get your questions answered. Please contact Healthflow Family Wellness Centre at 403-313-4354 to schedule your initial visit or 15-minute consultation. Dr. Lauren Wedlock Brown, N.D. graduated from the Canadian College of Naturopathic Medicine (Toronto) after obtaining an Honours Bachelor Degree in Biology and Psychology from the University of Guelph. She is a licensed and Ontario Board certified Naturopathic Doctor. With her background in personal training, sports nutrition, and psychology, Lauren is also the official Naturopathic Doctor of the London Lightning professional basketball team. A unique passion for Women’s Health and her experience as a Birth Doula lead Lauren to develop a special interest in Maternal Health and Newborn Care. Lauren is committed to creating a healing environment where patients feel heard and cared for. 2. The Carroll food intolerance method. Blood testing on site. Personalized diet and nutrition planning. 4. Experience with natural pediatric / child / infant treatments.Has a BSc from UofG(a pre-medical school program)and graduated from the Canadian College of Naturopathic Medicine in 2005. She is a mother of 2 and has been in private practice since 2005.She has trained with the world class doctors such as Dr.Zeff , Dr.Jack Newman, Dr.Sankaran (in india) and his team of doctors. Member of the OAND,CAND,BBDNT,APND,ctcmpao.Restorative approach with a peaceful atmosphere. In 2010, I completed four years of graduate study at the Canadian College of Naturopathic Medicine (CCNM), in Toronto, ON. My studies included a one year internship at the Robert Schad Naturopathic Clinic (RSNC), as well as a placement at the Sherbourne Health Centre, treating patients with HIV and AIDS. I am currently a member of the Canadian Association of Naturopathic Doctors (CAND), and am registered with the Board of Directors of Drugless Therapy- Naturopathy (BDDT-N). One thing you will quickly learn about me is how passionate I am about the practice of naturopathic medicine. Everyday I am amazed at how powerful our tools and treatments are, and how profoundly they can change a life for the better. I am a partner, a mother, a sister, a daughter, but most importantly, a person. I am flawed (even I indulge in a few french fries every once in a while!) and do not expect my patients to be perfect! I am dedicated to providing an environment free of judgement, one in which you feel safe to discuss whatever is on your mind. Please feel free to call, send me an e-mail, or stop by either of my locations with ANY of your questions, concerns, or just to chat! Milton Naturopath Dr. Katie DSouza is a fully licensed practitioner with a special interest in womens health, fertility, and treatment success with many other conditions, including digestive concerns, food allergies, and weight loss. Milton Naturopathic Doctor Katie DSouza\’s educational qualifications include an Honours BSc, an ND from the Canadian College of Naturopathic Medicines four year, accredited program; and additional training in Medical Herbalism. Dr. Katie has repeatedly experienced natural medicine\\\’s healing power. Call or email and inquire about general questions, our free 15-minute consult to discuss natural medicine, or book an appointment. Dr. Aliyah Alibhai received her Doctor of Naturopathic Medicine from CCNM in Toronto and currently practices at SOW Health and Springdale Physiotherapy Services in Brampton. Aliyah is also a medical advisor for Seroyal International, one of the largest North American distributors of natural health products, where she trains and educates other practitioners and employees. Aliyah’s goal is to educate, motivate and empower her patients to attain optimal health by treating the root cause of their health concerns, rather than suppressing the symptoms. Identifying and removing blockages that prevent the body from being auto-regulating, self-healing and able to adapt to change are extremely important and this how Aliyah directs her treatment approach. Dr. Lawrence Brkich Naturopathic Physician Inc.
Science and evidence based natural family practice. Strong proclivity for treating the underlying cause of any health problem. This approach makes natural symptom relief long term rather than just a quick fix. I am passionate about redefining health through the powerful integration of Naturopathic modalities with transformative Clinical Hypnotherapy — moving beyond the limitations that diagnostic labels or self-perceived boundaries can impose on health and happiness. Certification in IV Therapy and an experienced Certified FirstLine Therapy Practitioner, this additional training is an asset in the development of personalized lifestyle medicine programs in the treatment of chronic disease patients. Patient-centered care is central to my practice. Working in partnership with patients, my goal is for them to achieve life-long optimal health, vitality and happiness. Anita is an alternative health consultant and primary care provider that enjoys working with patients of all age. She uses acupuncture, nutritional counseling and supplementation, homeopathy, and botanical medicine to help you achieve your health goals. As founder and clinical director of Q Wellness, Dr. Hand actively maintains a general naturopathic practice with a focus on gastrointestinal, female, reproductive and endocrine health, as well as sports medicine. In addition to her practice, Dr. Hand regularly educates the general public, pharmacists, naturopathic doctors and other health care professionals about various health topics and natural health product issues including diet, supplementation, and integration of pharmacological and natural therapies. Dr. Hand is passionate about helping people reach their best potential in all aspects of life. To learn more about Naturopathic Medicine and how Dr. Hand can help you, please contact the clinic to book a free 15 minute consultation. Naturopathic family practice focusing on children’s health, women’s health, fertility, digestive disorders and food allergies. Certified in Facial Rejuvenation Acupuncture. Received Reader’s Choice Gold Awards for Best Naturopath, 2011 and 2012. 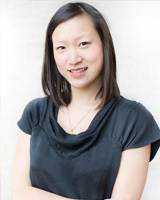 Dr. Freda Tam is a licensed Naturopathic Doctor, practicing in Toronto and Vaughan, Ontario. Her practice is grounded in the belief that proactive and individualized care based on addressing the root causes of illness is the key to optimal health. Freda enjoys working with people from all walks of life, and will take the time to truly understand her patients and their health. She is passionate about empowering them with the knowledge and tools to optimize health and feel their best on the inside and out. It was through a combination of personal transformation with naturopathic therapies, along with a passion for blending modern science with the traditional medical arts, which lead Freda to pursue and complete her studies at the Canadian College of Naturopathic Medicine (CCNM). She is a member of the Canadian Association of Naturopathic Doctors (CAND), and is registered with the Board of Directors of Drugless Therapy?Naturopathy (BDDT-N). Payam Kiani obtained his undergraduate degree in Life Sciences from McMaster University and his graduate studies from the Canadian College of Naturopathic Medicine (CCNM). 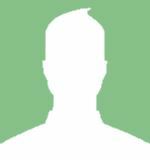 He is a registered Naturopathic Doctor in private practice and a faculty member at CCNM where he works as a supervisor in its teaching clinic. In his practice, Dr. Kiani has extensive experience and a strong clinical focus on treating individuals with cancer of all different types and stages. (He has additional training in intravenous vitamin therapy and is a member of the Oncology Association of Naturopathic Physicians). Dr. Kiani also treats many other chronic and acute conditions ? intestinal disorders, diabetes, cardiovascular disease, immune dysfunction, food allergies, heavy metal toxicity, and pain management to name a few. He has traveled to the United States, China, and Vietnam to continue his search for effective natural treatments. Payam has always been passionate about educating and empowering his patients to take charge of their own health. He believes in working as a team with his patients and networking with other healthcare practitioners. His therapies integrate clinical nutrition, herbal and mineral supplementation, homeopathic medicine, intravenous vitamin therapy, detoxification, and acupuncture, and counselling. – Awarded the prestigious Naturopathic Honour Award for his dedication to the naturopathic profession. You are unique and as such your health and wellbeing requires an individualized approach. I recognize that, and from assessment to lab testing to personalized Comprehensive Health Plans, my goal is to provide relief and address the root cause of your health concerns. With the firm belief in the healing powers of nature, my goal is to bring back balance to the physical, mental and spiritual dimensions by removing the dis-equilibrium created by disease. This is accomplished through the use of natural modalities including nutrition, herbal medicine, acupunture, hydrotherapy, homeopathy and councelling. Your body knows how to care for itself given it has what it requires. I hope to educate, motivate and inspire those who are considering taking control of their well-being in my clinical practice. My visits with patients involve taking a thorough health history, physical examination and laboratory analysis in order to make accurate diagnosis from which a treatment plan is then devised. Health promotion and preventative medicine comprise a big part of my practice as I believe we are now more and more approaching the future that Thomas Edison forsaw when he stated: The doctor of the future will give no medicine, but will interest her or his patients in the care of the human frame, in a proper diet, and in the cause and prevention of disease. Improving your health relies upon identifying the cause and perpetuating factors to your health concerns. Stress, diet and lifestyle are common culprits to illness and a state of tiredness and discontent. My goal is to combine a thorough intake and assessment, conventional and specialized testing, and the tools of naturopathic medicine to develop a treatment plan that is specific to your needs. I also offer very in-depth integrative medical services through my partnership with a medical doctor. Together, we develop integrated treatment plans and sit down with patients simultaneously. Patients that require regular testing and medications greatly benefit from medically-directed care that monitors medications and works collaboratively with naturopathic medicine to limit and avoid drug dependence. This approach is effective, comprehensive, and safe. Our collaboration reduces risk of harmful interactions and it eliminates the confusion that can occur when seeing an MD and ND separately.